Imported from Germany. 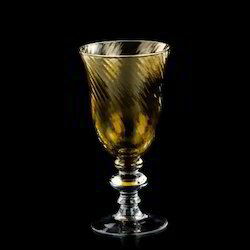 Beautifully crafted crystal highball tumbler featuring a heritage European design of ridges and planes on its stem. You see the a textured reflection on the glass. Comes in its own box. 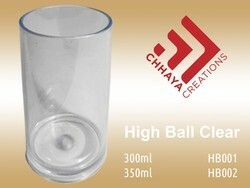 A highball glass is a cylindrical glass tumbler taller and more slender than the Collin′s glass . It can contain 8 - 12 oz of fluid. It is used to serve highball cocktails and various types of chilled mocktails.